The Bible stated that the young man went to other City and lavish his wealth on frivolities. This extravagant lifestyle of his made the money to finished. The young man got bankrupt to the extent that he couldn't take care of his personal feeding and opted for a job where they rear swine. On his returned to his father's house, instead of the father to get upsetted over his Son's attitude for lavishing his shared wealth, he didn't. Rather he ordered his servant to slaughter one of the fattest cattles in his ranch for the celebration of his Son's return. Despite this shameful act, the Father rehabitate him and gave him a second chance. The Biblical tales I have illustrated above can therefore be likened to the political situation in Kogi State. For understanding, the general populace and entire Kogi people can be termed as the wealthy father in Bible while Governor Bello represents the the biblical wealthy man's Son. The wealthy man's sojourn to the city represents the mantle of leadership Governor Bello is occupying. The failure of the young man to judiciously utilise his shared of his wealth can as well connote the disenchantment of the people over the abysmal leadership of Governor Bello in Kogi State. 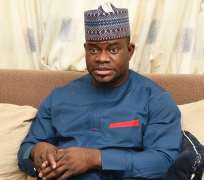 The November election will give the people of Kogi State the ample opportunity to decide again whether to continue with Governor Bello's government or to terminate it outright with a view to bring in new fresher to run the State. Those who held this view maintained that since the inception of Yahaya Bello"s led government in the State, Civil servants were not treated fairly as they were owned months of unpaid salaries despite monthly federal allocation funds to the state and the series of Paris club and bail out fund. The people equally maintained that since the inception of Yahaya's administration, no tangible projects have been completed to show the seriousness of his administration just like the case of the prodigal Son in the Bible who could not convert the resources at his disposal to meaningful venture. I am saying this because Nigerians had in the time past out of their curiosity to see urgent change voted out the leader in power and bring in new one only for them to lament later that the latter was better off. Therfore, we need to think twice before taking a decision. There is proverbial saying that the devil you know today is better than the Angel we don't know. On this note, how are we sure that the next person we are presently rooting for will be better off to Governor Bello in terms of governance? This is a food for thought for everyone of us.